OMGYAS! This is truly AMAZING news! Especially after TARUS being on its deathbed. Singapore May 20, 2016 – Sony Pictures Television (SPT) Networks, Asia announced today that it will bring The Amazing Race Asia back for a fifth season. This marks the return of the popular global format to general entertainment powerhouse AXN, which was home to the series’ previous four, top-rated seasons. “The Amazing Race Asia has been a successful format around the region bringing compelling quality content recreated in a locally relevant manner for audiences here. We are excited to work with SPT Networks to bring back this highly-rated reality series and to deliver it in a very engaging platform for fans,” said Mark Chan, Head of Disney Media Distribution, The Walt Disney Company Southeast Asia. 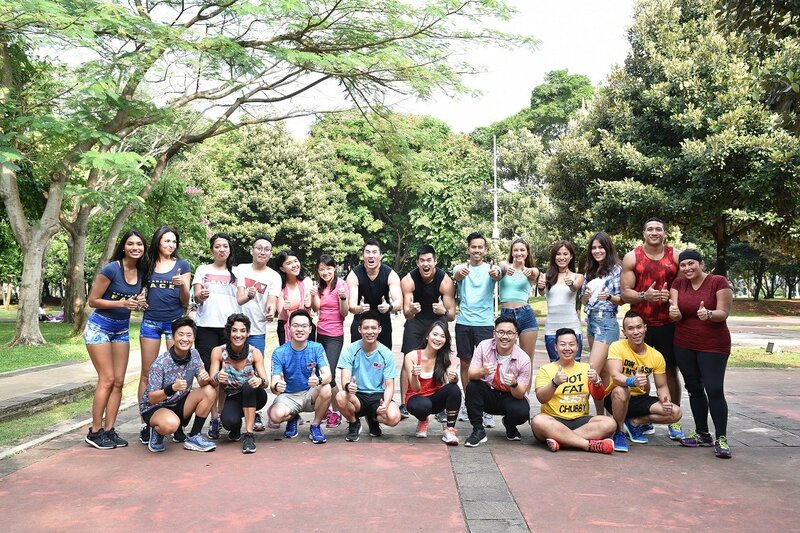 Based on the Emmy Award-winning adventure reality series distributed around the world by Disney Media Distribution, The Amazing Race Asia 5 will premiere on AXN in late 2016 and promises to be the most adrenaline-fueled season ever. Ten teams chosen from across the region will compete in a high-octane dash around the world for a chance at the winning crown and USD$100,000 in cash. A call for team applications will be announced next week when AXN will invite aspiring racers to submit their audition videos to prove that they have what it takes to be part of The Amazing Race Asia’s ultimate adventure. This one is in Indonesian, but you can translate in Google Translate, but basically The Amazing Race Asia will feature 10 destinations (10 legs? ), with 5 of them being in Indonesia, according to Indonesian Minister of Tourism, Arief Yahya. KEBANGGAAN Indonesia terus terjadi di kepemimpinan Menteri Pariwisata Arief Yahya. Pasalnya, Amazing Race Asia menampilkan 5 destinasi di Indonesia. "Dari 10 destinasi yang akan muncul di Amazing Race Asia maka 5 destinasi Indonesia akan dimunculkan," jelas Menteri Pariwisata Arief Yahya kepada Okezone di Jakarta, baru-baru ini. Menurutnya, dengan dihadirkan destinasi Indonesia di acara yang mendunia maka akan membawa dampak positif untuk pariwisata Tanah Air. "Ini adalah langkah kejutan yang harus terus dilakukan demi menghidupkan pariwisata Indonesia. Apalagi penonton Amazing Race sangat banyak dan ini menguntungkan buat Indonesia," bebernya lagi. Arief Yahya menambahkan bila dengan kemunculan destinasi di Tanah Air melalui salah satu acara yang mendunia maka ini bentuk promosi yang wajib dilakukan. Lalu, destinasi mana sajakah yang akan ditampilkan? "Anda lihat saja nanti, biar jadi surprise buat masyarakat Indonesia," tutupnya tersenyum. Bad translation lol. Can anyone improve it? PRIDE Indonesia continued in the leadership of Tourism Minister Arief Yahya. Because the Amazing Race Asia featuring 5 destinations in Indonesia. "Of the 10 destinations that will appear in Amazing Race Asia then 5 destinations in Indonesia will be raised," said Tourism Minister Arief Yahya told Okezone in Jakarta, recently. According to him, the presented destinations Indonesia in the event worldwide, it will bring a positive impact to the tourism of the country. "this is a surprise move that must be done in order revive tourism in Indonesia. Moreover, spectators Amazing Race very much and this is beneficial for Indonesia," he explained again. Arief Yahya added if the the emergence of destinations in the country through one global event then this form of promotion that must be done. so, where are the destinations to be displayed? "You see, let me be a surprise for the people of Indonesia," he smiled. Admiration of Indonesia keeps continued, under the leadership of Tourism Minister, Arief Yahya. Due to, the Amazing Race Asia featuring 5 destinations in Indonesia. "From 10 destinations that will appears in Amazing Race Asia, 5 destinations of Indonesia will shown," said Tourism Minister, Arief Yahya to Okezone in Jakarta, recently. According to him, with presented of Indonesia destinations on worldwide program, it will bring a positive effect for the country tourism. "This surprising move which should continue to be made to evoke Indonesia tourism. Let alone, Amazing Race viewers are numerous and this, give a beneficial for Indonesia" explained him again. Arief Yahya added that the appearance of destinations in the country through one of global program is form of promotion that must be implemented. So, which destinations will be shown? "Just, watch it yourself later, let it be a surprise for Indonesia citizen," he closed smiley. so much!! That's a big help! No new information given, though. ...in less than a week, he will be back on the road — travelling to a new set of 10 cities — to host the fifth edition of the AXN reality series The Amazing Race Asia (TARA).The new season is slated to air in October and pre-production and filming will begin this week. After AXN’s “The Amazing Race Asia” completed in fourth season in 2010 and did not come back on the air, Allan Wu admitted that he did miss the popular reality competition series that he had hosted since day one. “People would keep on asking me, you know, when is the show coming back? We and our whole family loved the show so much. There was so much action, so much happening in each episode, so I myself missed it so much,” the Singapore-based actor and TV host recently told InterAksyon. So when the makers of the show announced its long-awaited fifth season after a hiatus of six years, no one was happier to be part of it than Allan himself. “It’s like this long-lost girlfriend who said, ‘Hey, Allan, would you like to get back together with me and travel the world and see the world and unfortunately eliminate some teams but at the very end, everyone will have the most amazing journey on this show? And you also get to reward the US$100,000. You wanna do it?’ I’m like, ‘Hell yeah! Of course I’ll do it.’ And so we are back. And we are back in full gear,” he enthused. Allan said the show’s return immediately brought back a lot of wonderful memories for him, particularly the time when he was cast as host of the show 10 years ago. read more here: Discussion of how he was cast, Philippine teams, eliminating teams and more! As for himself, Allan confessed that he was not sure how this season is going to go since they have a whole new team at the network and a whole new production team. “There was a lot of questions in my mind but I think I couldn’t be more proud and happy with how results all went. I feel great about this season and I hope our audiences will be, too when we finally go on the air. wonder what will be a 'surprise twist' this season.. Considering the timing, I'm sure this isn't a surprise, but we have no breaks this season and TARA5 will air in its 10-leg entirety all the way to December 15. Our winner is going to have a Merry Christmas indeed! LOL!!!! @JAKARTAWHERE, (it says National Monument at Jakartawhere) it is very obvious that it is the MONAS.